Fixtures Game-week 34, Another double? Yes please! Another double? So soon? Yes please! They’re like buses these things… Well it feels like we are all still reeling from some record breaking scores from the last one but now we have another to get our teeth into already. This one is not quite as enticing as the last, as only four teams are involved in it, namely Crystal Palace, Everton, Man City and West Sunderland, but all the same it’s a chance to capitalise on giving your chosen few two bites at the cherry. We feel it would be folly not to indulge as many of your squad as you can possibly stretch to in any double game-week. We shall take a look at the teams that are involved in this weeks double and share our thoughts on their prospects for it and subsequently where we feel that your transfers will be best utilised, this week especially. Like him or hate him, Tony Pulis can organise a team – he did it for years at Stoke and he has installed the same fight, competitiveness and solidity at Palace. Three clean sheets in the last four games are testament to this – in fact since GW22 they have only conceded more than one goal vs Man Utd and Arsenal. So clearly, defence is the best investment here, with Julian Speroni, Scott Dann, Adrian Mariappa, Damien Delaney and Joel Ward probably the best options. Going forward they struggle, but Jason Puncheon looks a decent option for this week – his 2 goals at Cardiff pushes him back into the limelight and at 4.9mln he is cheap enough to be most manager’s budget midfielder. Palace’s first game at home to Villa offers significant potential for points, given that Villa are awful and lost at home to Fulham! However, Pulis and his men then take the trip to Everton, which will be not straightforward for them as the Toffees are hitting top form at the right time. The race is definitely on for 4th place after Everton’s victory over Arsenal in GW33, but they’ll need to maintain that form if they are to beat the Gunners to Champions League qualification. DGW34 offers them good opportunity to do that – an away trip to Sunderland is certainly winnable, even with Sunderland fighting for their Premier League survival, but if West Ham can win there, then Everton certainly can. It may well be that the Palace game is tougher for the Toffees as no doubt Pulis will set up his team to play deep, give nothing away and hope Marouane Chamakh can nick something at the other end. Or maybe he’ll just set up his team to play deep and give nothing away! Double Everton exposure seems vital for DGW34, some will even triple up. Certainly some defensive exposure would appear sensible with Leighton Baines and/or Seamus Coleman the obvious picks due to their attacking nature. Silvain Distin and John Stones are the budget options, who offer minimal potential going forward – you get what you pay for. Also with young Stones, it may well be that Phil Jagielka returns this week, so keep an eye on the team news from Martinez. In midfield, its a conundrum as to who the manager will deploy, so with these recommendations comes a warning that each may not play 180mins and may not even start both games, but Kevin Mirallas and Ross Barkley are the obvious names if you wish to go down this route. Romelu Lukaku will probably top most captain’s polls this week after his superb display against Arsenal and he will, no doubt, prove a very popular transfer in this week as managers look to capitalise on the double game-week. Four goals, two assists and eight bonus points in his last five and a bit games makes his blanks vs Cardiff and Fulham even the more remarkable and gives us a reminder that he can disappoint as well as bring home the bacon – nevertheless it’s a brave manager than goes without him this week. For the budget hunters out there, how about a DGW punt on Steven Naismith? Two goals, one assist and four bonus points in his last two games, may just convince you to go different from the Lukaku wagon and he certainly looks very dangerous going forward. He’s a poor man’s Lukaku, of course, but against two lower placed sides there’s no reason he cannot outscore the big man. It is a punt! We feel it’s worth pointing out that Everton’s fixtures after DGW34 are not fantastic – both Manchester clubs visit Goodison, while sandwiched in the middle is a trip to Southampton. Therefore, if you max out on the Toffees, plan ahead for what you want to do with them after. City start their DGW with a trip to Anfield, in what many are describing as a title decider. Whether that be true or not remains to be seen, but there is no denying that the result of the game will have a massive impact on who wins the league. Their second game, Sunderland at home, suggests a straightforward home win with many FPL points on offer and is the reason we’d suggest maxing out on City exposure. Many of you, of course, will have at least one City midfielder already, some two – with Yaya Toure and David Silva the most popular. In addition to these two Samir Nasri is a tad cheaper at 8.2mln and has scored or assisted in three of the last four games. Jesus Navas is cheaper still, but his returns and gametime don’t compare favourably with Nasri. At the back, Pablo Zabaleta is by far the most popular and is owned by 24% of managers – yet he has not scored this season. He has assisted five goals but not since GW16. Martin Demichelis is 0.2mln cheaper than Zaba, has started the last eleven games in Matija Nastasic’s absence, has scored once and is owned by just 1.2% of managers. And he is Manuel Pellegrini’s pet. With Nastasic still injured, Demi will continue his partnership with Vincent Kompany. Aleksandar Kolarov is an enigma that you either wish to play or leave well alone – sharing game time with Gael Clichy limits his appeal as a fantasy option, yet when he does play he is a constant threat, having scored once and assisted seven times. As I say, its your call, but be prepared to be fantastically rewarded one week and angrily frustrated the next. Up front we await news of Sergio Aguero – manager Pellegrini told us on Friday that they hope to have him back from injury for the Liverpool game. He is fantasy gold when he is fit – 15 goals and 9 assists prove that, especially when you bear in mind he has only completed 90mins four times this season. His injuries have curtailed his returns this year though – and last time he came back from injury he lasted just 44mins in his only league start before straining his hamstring again. The suggestion is to wait and see on when and how he returns – then, if he looks sharp and fit, he may be worth forking out 12mln for – if he breaks down again, it wouldn’t be the biggest shock in the world. Also don’t forget he won’t want to miss the World Cup so may just hold something back, subconsciously. Aguero’s fellow striker, Edin Dzeko, has certainly rewarded those managers who chose to go with City’s bargain bucket strike option – eleven goals this season, four goals, two assists and five bonus points in his last four games is a great return on investment for a striker playing for one of the best attacking units in the country and he is still priced at just 7.1mln. Despite the competition for places from Alvaro Negredo, Stevan Jovetic and the returning (at some point) Aguero, it would appear Dzeko remains a fantastic fantasy option at this stage of the season. Don’t forget that City also have a DGW37, when they visit Everton and then host Aston Villa at the Etihad – so with this in mind and with only 5 game-weeks of the season left, we feel having three City players could be very beneficial for your team’s success. City also host West Brom and West Ham before the season finishes…..having three City players is almost a must, surely ? For everything you read about City above, almost the opposite is true of the Black Cats – in fact the only similarity is that they both have 2 DGWs coming up. None of their players are expensive, which tells you everything you need to know – in fact their best player, Adam Johnson, struggles to get a start – and even when he does, they get caned. Monday night’s 5-1 defeat at Spurs sees Sunderland languishing bottom of the table, seven points from safety, with just seven games left. The manner of the defeat is probably more significant than the actual score as they were totally overrun in the 2nd half and the lack of fight suggests the players know their fate. Their DGW starts at the Stadium of Light as Everton stroll into town – that won’t be easy against a team that is on the crest of a wave right now. Alas, it doesn’t get easier for Gus Poyet’s men as they then have to trek down to Manchester to play title-chasing City. The only positive I can imagine for Sunderland is that City may still be knackered from playing Liverpool three days previously. Keeper Vito Mannone continues to be fairly popular with ownership of 9.1% – this is mainly due to their defence being so bad he has so many saves to make. Three clean sheets from his last twelve games tells you everything – though, to be fair, those three clean sheets have also bought him 3bps on each occasion. He even managed 2pts on Monday due to six significant saves….and they lost 5-1! Looking at Sunderland’s fixture list, they have two games left that look vaguely attractive…Cardiff at home in GW36 and WBA at home as the second part of their DGW37 – unfortunately they go to Old Trafford first! Would I buy him now? Nope, probably not, but maybe for game-weeks 37 & 38 he may come into the equation. So who else should we be looking at? Johnson of course, is the standout player, if he plays – though in fairness to Poyet he seems more productive when used as a sub. Defender Phil Bardsley is quite attacking and costs just 4.3mln…for a reason. Other names that I hear mentioned are Sung-Yueng Ki and Fabio Borini – frankly, avoid them. If you really want to play Sunderland’s DGWs then I’d suggest leaving the first one and taking a punt on Mannone or Johnson in DGW37. Yes. Man Utd & Hull City have a blank GW34, due to Hull’s involvement in the FA Cup semi-final. 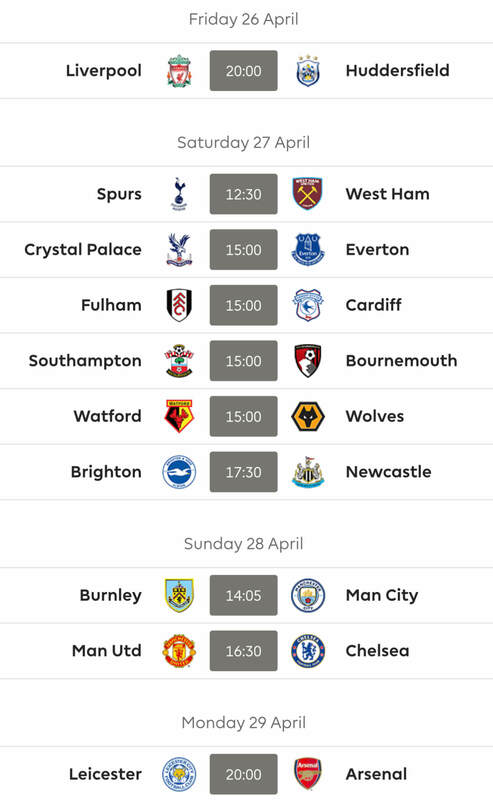 This fixture has been rearranged for GW37, giving both teams a DGW37. Arsenal vs West Ham has been rearranged from Sat 12 April to Tues 15 April, due to Arsenal’s involvement in the FA Cup semi-final. However the fixture remains in GW34. 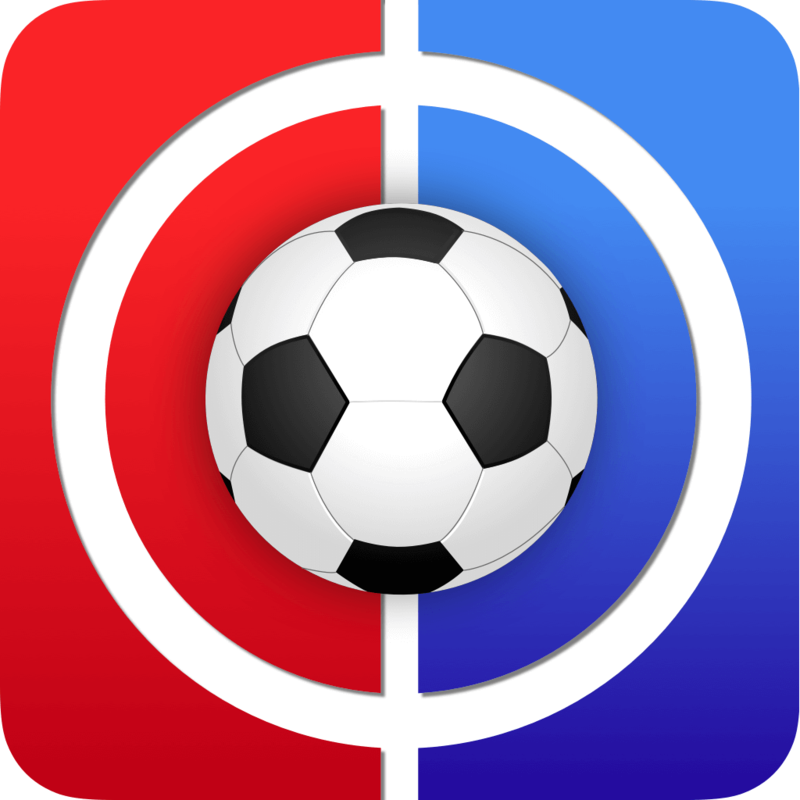 Thankyou for reading Fixtures Game-week 34, this article was written by Cookie. Hmmm, Chelsea missing Hazard next 2 weeks. Plus they’re still in the CL. Kind of good news for City and Pool if you ask me. Ok, so I’m holding off until any more news on Hazard but planning on Haz & Dzeko > Nasri & Lukaku for a -4. Cant afford Silva & Lukaku. Any better options out there for me?